responsible innovation in your cup? For more information watch our product video. Made of #5 polypropylene - a durable plastic with wide recycling access. More than 60% of Americans have access to recycle polypropylene, including many communities accepting #5 plastics curbside. 2015-16 Centralized Study on Availability of Plastic Recycling; prepared by RRS and Moore Recycling Asssociates Inc. 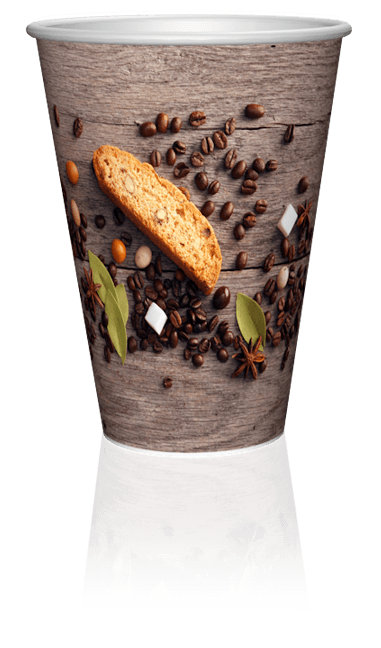 The Versalite cup is widely recyclable, which may help to lower your company’s overall carbon footprint. Polypropylene is one of the safest materials used to package food. 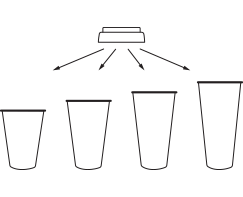 Versalite provides more efficiencies than EPS foam-based cups, including storing, shipping and operational needs. The Versalite material significantly minimizes the chance for leakages. Versalite cup sets can be available with a one lid solution for many size cups. 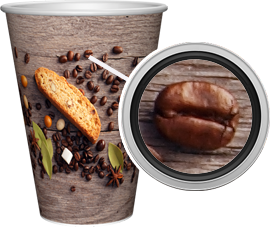 Versalite cups offer a one cup solution for hot and cold beverages because of its temperature control properties. The Versalite cup can use up to a 10 color process which allows for more clarity and precision in printing. 74% of consumers tested believed it would keep their coffee warm enough, without the worry of burning their hands. Consumers in focus groups responded largely positively to a finger hold ledge on the bottom of the cup. tested gave a significantly higher overall rating than all other cups in the marketplace. So, what goes into your cup?